£5 ENTRY & FIRST GAME FREE! - OFFER ENDS SOON! Vacancy Available - Sign up today // £5 ENTRY & FIRST GAME FREE! - OFFER ENDS SOON! 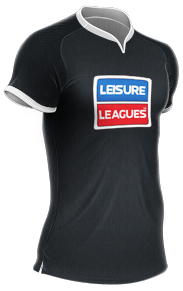 All the league news from Leisure Leagues Winsford Tuesday 6 aside league at Winsford Academy. Are you looking to set up your own team and play small-sided football in your local area? Leisure Leagues are operating in Winsford, at Winsford Academy, Grange Ln.